Chatroll provides a Moderated Chat environment for all eagle cam pages sponsored by the American Eagle Foundation. Once you have a Chat User Name on any of the AEF cam pages, you can use that for any cam page we provide. Notice there are 4 fields to complete, a reCaptcha checkbox, and a Create Account link. When you have clicked “Create Account” a second screen will appear. There are a few restrictions in place for choosing a User Name (Chat Name). All our moderators have a chat name followed by _AEF. No one other than a moderator is allowed to have a User Name with _AEF as part of their chat name. In addition, no Chat Name will be allowed that implies an “official” relationship with the American Eagle Foundation when none exists. Likewise, a chat name that contains NEFL cannot be allowed, because it also implies an official position with this nest. You have successfully signed up for a Chatroll END-USER ACCOUNT. Disregard the text under that, because it doesn’t apply. Another important link is “ACCOUNT” at the top right of the page. By clicking “account” you can always change your email and / or your password. Once you complete this form, you will be able to log in to any of our cam pages at the bottom of chat WHEN CHAT IS SCHEDULED TO BE OPEN. If chat is not “open” – you can’t log in. LOG IN: Now that you’ve established an account, you are ready to join the chat! Look at the bottom of the chat box. WHEN CHAT IS OPEN, there will be 2 text fields to fill in. In the first box, type your user name OR your email address. In the 2nd one, enter your password. Then click “Sign In” or just hit Return on your keyboard. You will notice that instead of 2 text boxes and a sign-in link, you now just have an empty text field to type into. Place your curser in the text field and begin typing! When you have completed what you want to say, press “return” on your keyboard. You will see your text appear in Chat with your user name to identify that you are the one making the post. Again, as a reminder, all our moderators have a chat name followed by _AEF. This identifies them from regular chatters who are also posting comments in the chat window. When chat is not open, Moderators can still post updates in chat so that our viewers know about anything interesting or important going on. POPPING OUT THE CHAT WINDOW: Look at the bottom lower right icon underneath chat (it’s a square with an arrow pointing in a northeast direction outside the square. By clicking that little square, a separate chat window opens that you can move anywhere on your computer screen. RESIZE THE POPPED-OUT CHAT WINDOW: You can also resize the chat window by placing your curser at the lower right edge of the “popped out” chat window. When a horizontal arrow appears, hold down the left side your your mouse, and drag that edge to make the window wider or taller. To sign up for chat, please read the beginning of this page for complete directions. First and foremost, the AEF Smoky Mountain Chat Room is a family and classroom friendly place and we ask that all chat guests respect the diversity of the room. Profanity, personal invective, or other inappropriate comments will not be tolerated. Disagreements might be unavoidable but should remain polite, and they should never become arguments. Chatting is a privilege, not a right. If your presence is disruptive or inappropriate, moderators (mods) can timeout, kick, or permanently ban chat abusers, and can delete inappropriate posts. While we appreciate the knowledge chatters have gained through chat, we ask that they refrain from answering questions asked by fellow chatters, allowing the Moderators to respond, avoiding confusion or possibly posting incorrect information. If chat is busy and a question gets missed by a Moderator, feel free to provide the correct answer. 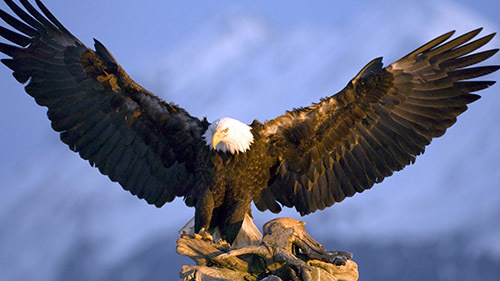 We prefer that chatters focus on the Smoky Mountain eagles featured on this page. We are aware that many of our chatters view other nests and like to share the news (eaglet hatchings, etc. ), which is acceptable. However, please keep information from other nests to a minimum so we don’t confuse other chatters. If you feel the need to discuss other topics, please do so by using Private Messages (PMs). If you have questions about the Eagles and would like to have a more in-depth conversation, please email smeaglecam@eagles.org. If you would like to have technical questions about Chat answered, or if you are having problems setting up an account, you may send an email to webmaster@eagles.org. You will see this screen appear. After you submit the email address you used to sign up for Chatroll, and click “Reset Password” you will receive an email with a link to create a new password. If you do not see the email appear after a few minutes, be sure to check your junk / spam folder to see if it ended up there. If all else fails, email webmaster@eagles.org.